Bluebonnet Landscape - Another capture close up of the bluebonnets along the trail in Ennis Texas . We went up for their bluebonnet festival they have every April. 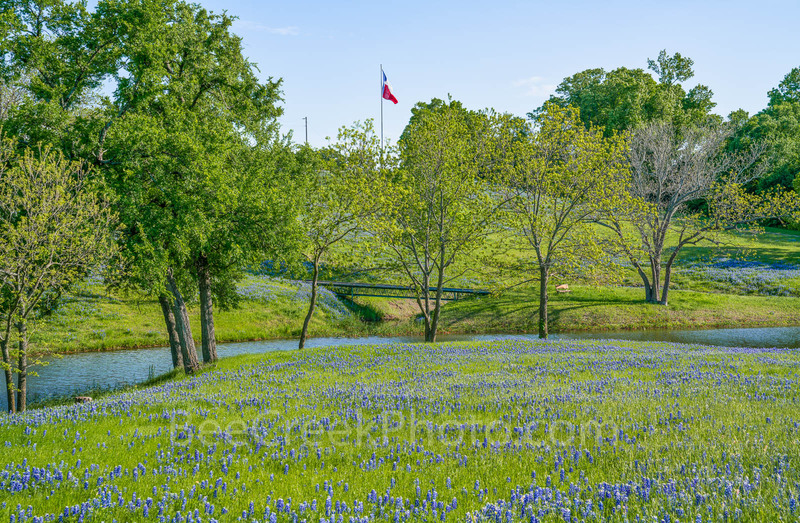 This scene set the stage for the wildflowers it was a pretty landscape scene with the wildflowers, blue sky along the creek with the Texas flag in the back ground representing this texas bluebonnet landscape. Photo © copyright by Bee Creek Photography - Tod Grubbs / Cynthia Hestand.